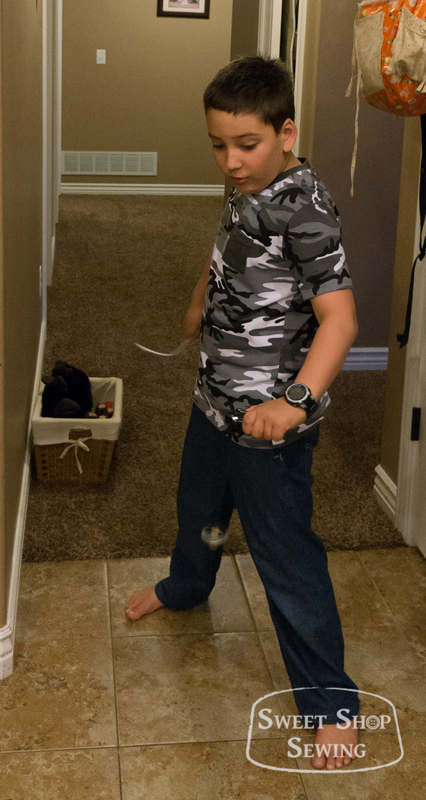 My boys and their beyblades. They sure love ’em. The t-shirt is from my pattern. The jeans are adapted from an Oliver + S pattern. This entry was posted in Sewing and tagged Outfit Friday on March 21, 2014 by Bryanna.